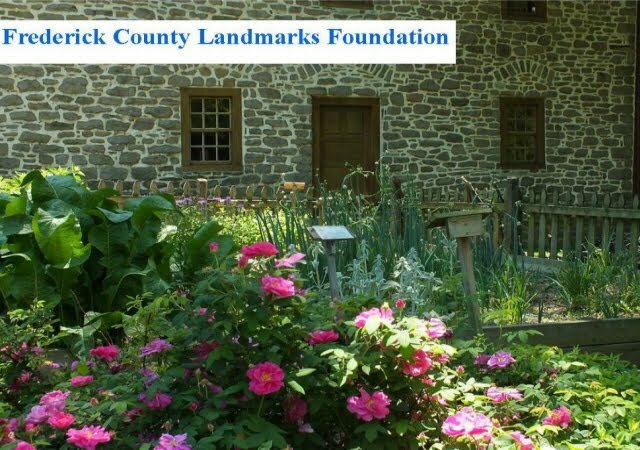 This year the Schifferstadt's Heritage Garden will be featured in Celebrate Frederick's "Beyond the Garden Gates Tour". For a special tour of the Heritage Garden on this weekend, visitors must have an event ticket. However, we will be offering tours of the house like any other weekend, 1pm - 4pm on Saturday and Sunday. This is a self-guided tour of several barns in Frederick County that open for this one special day to the public. A map/guide book serves as the ticket for the event ($15., kids are free.) Artists are set up at each barn painting. A reception is held to exhibit the art created that day for sale - with food and live music 5pm -7pm. This year's Barnstormers Tour will be held Saturday, June 11, 2016 10 am – 4 pm (rain or shine). This year is the 10th Anniversary and will feature Barns of South Mountain, on and around the back roads between Myersville and Middletown. To make the day successful we rely on our volunteers. We need barn tour guides (docents), ticket sellers, and parking guides. We offer full training, tee-shirts, and lunches for our volunteers - as well as a hot dog picnic at the end of the day. Students are also encouraged to participate, and will receive volunteer credit hours.